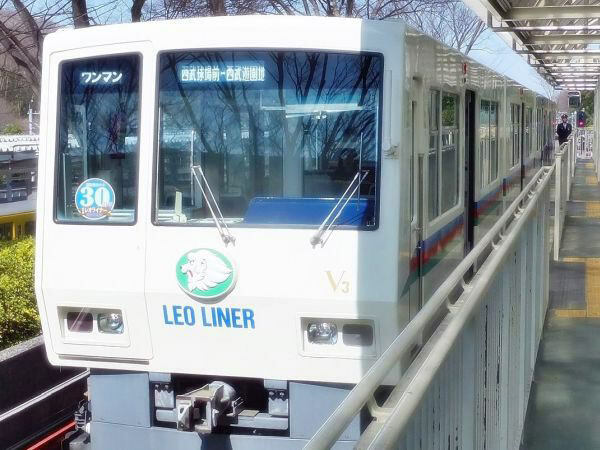 The Yamaguchi Line of Seibu Railway is an AGT (Automated Guideway Transit), running between Tokyo (refer to #036) and Saitama Prefecture. 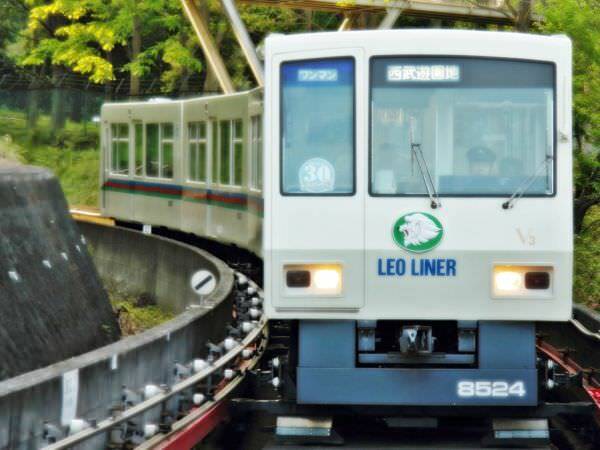 It is usually called Leo Liner, the nickname. It connects Seibu-Yuenchi Station (in Higashimurayama City, Tokyo) with Seibu-Kyujo-mae Station (in Tokorozawa City, Saitama). The character Leo, originally invented by Osamu Tezuka, is a mascot of the Saitama Seibu Lions (Japanese baseball team).